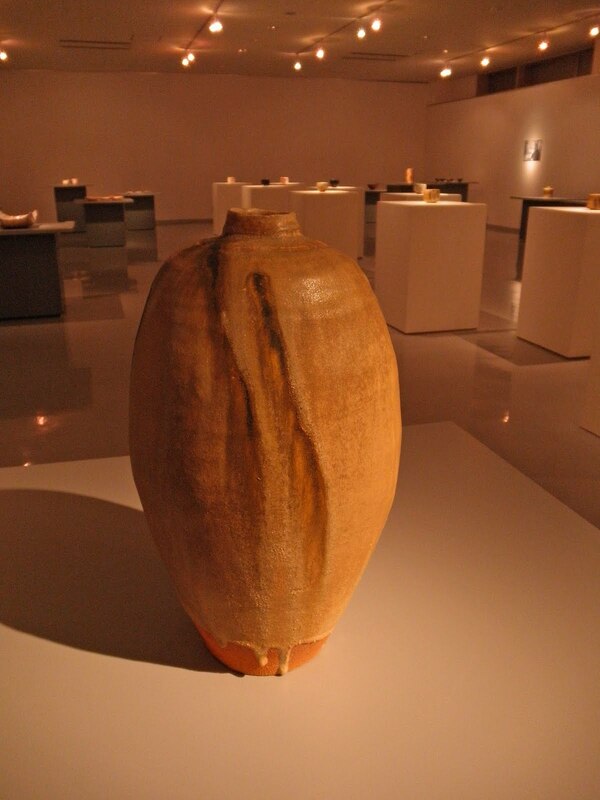 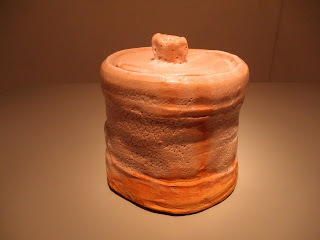 This past summer Mino giant Kato Kozo(b.1935) was named a Living National Treasure for his Setoguro-Black Seto wares. The word on the streets for many a moon was that this designation was bound to happen, not sure though for just which style as Mino comprises Shino, Ki-Seto(Yellow Seto), Setoguro and Oribe. Considering that Suzuki Osamu is the current LNT for Shino and also that Kato does not make Oribe it boiled down to two. 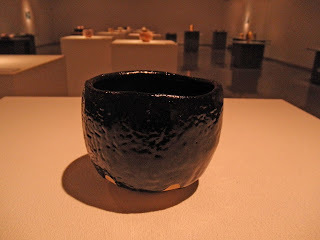 In the world of Tea Setoguro is a more favored chawan-tea bowl style and with this consideration--and also that Kato's teacher was the late Setoguro (and Shino) LNT Arakawa Toyozo--it was a safe bet to have chosen Setoguro. 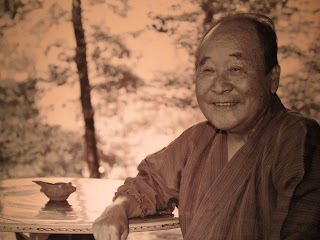 I've admired Kato's work for decades now, it has a serenity and depth that is also reflected in the man's eyes. 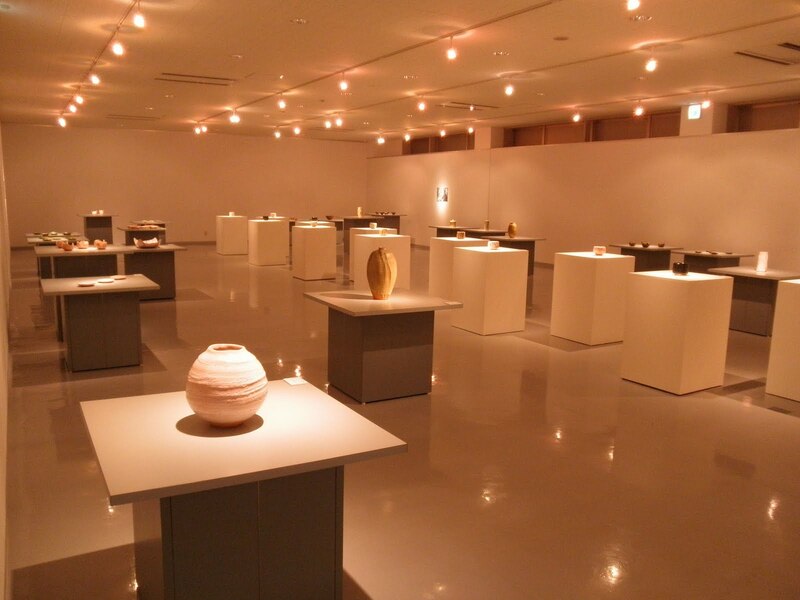 A homecoming commemorative exhibition was recently held in Kato's hometown of Tajimi--epicenter along with neighboring Toki City--for Mino. I attended the exhibition on my way to visit Kato long-ago apprentice Hori Ichiro (Hori's work on our web gallery all this week...) and here are a few photos. Unfortunately, although the work was pure and superbly fired, I found most of it rather uninspired; please judge for yourself. Nonetheless, Kato is a wonderful potter who deserves the LNT status for his devoted life to Momoyama-inspired Tea wares that is one of Japan's most solid cultural foundations.